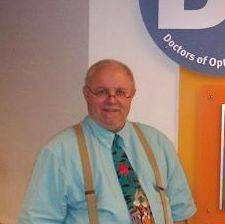 Dr. James C. Godwin was a beloved optometrist at our practice, and a friend of both patients and staff, for 39 years. He was a dedicated and caring eye doctor, and was the primary eye doctor at the Fox Eye Care Group in the Fourseasons Mall. Throughout his longstanding career, Dr. Godwin received many accolades to acknowledge his services, including the Lenscrafters "Most Inspirational Person" award in 1993, as well as a Gift of Sight award in that same year. Dr. Godwin was a devoted husband and father to his three children. 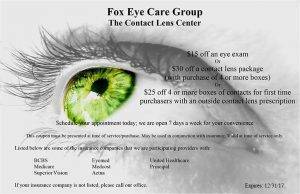 All of us at Fox Eye Care Group will miss him very much.